During the holidays, many offices shut down in a way that they do not throughout the rest of the year. For these rare few days, you may completely inaccessible to customers and unable to help employees who are trying to sneak in a little extra work through the holidays. Use this checklist to make sure that you've shut down the office correctly--and that you're able to get everything back up and running smoothly again when the holidays are over. Both your customers and your employees need to know how long your business will be shut down for the holidays. Provide notice well in advance. Depending on the types of services you offer, you may need to start notifying customers as early as a month out. It would be best if you were to provide these important notifications at least two weeks before the holiday shutdown. Employees should also be reminded regularly that the company will not be open during those important days. Change your voicemail message and have a plan for what to do if your voicemail is full: will it notify you? Is there an alternate number to call? Make sure that customers who attempt to contact you know when you expect to be in the office again. Most customers will understand the desire to devote time and energy to the family during the holidays, but they want to know when you'll be back to provide them with your usual excellent customer service. Walk through your office and take a look at your electronics and other potential energy drains. Since you will not be in the office, there is no reason to pay for electricity that you are not using. Make sure that you handle your shutdown properly. Turn off your personal computer and other computers throughout the office. Note that servers do not need to be shut down for the holidays and should be left up and running. Fax machines, refrigeration systems, and security systems should also be left running normally. Check your thermostat. You can drop the thermostat several degrees while you're gone for the holidays, resulting in significant energy savings. Turn off and unplug fans and heaters. Unplug any chargers and other cords that are usually left plugged in. Close curtains and blinds to help maintain internal temperature and keep potential thieves from taking a peek inside. Check your emergency procedures. What happens if there is a fire at the office while everyone is away? What if someone is in the office over the holidays--to pick up paperwork to review at home, for example--and they notice a problem? Make sure these policies are posted so that any key holder can access them. Physical security is just as important as managing your technology when you are gone for the holidays. Take these key steps to ensure that your office is indeed locked up tight. Make sure no keys are left sitting out where they are easy to see or access. Check with security to make sure that they have keys to get in the building. Check security systems and cameras to be sure that they are fully functional. Make sure that the security system is sending a notification to someone who is actually in town for the holidays, not a manager who is going to be across the country! Lock up desks and filing cabinets, especially those that contain sensitive information. Place all keys in a safe location. Check doors and windows to be sure that they are locked. Review your incident response plan. Do you have a plan for how to respond when everyone is out of the office? This can include everything from a hacker going after your data to a physical emergency at the office. With the holidays fast approaching, you want to be sure that everything is put together properly throughout your office so that when you return, you can get everything back up and running smoothly. 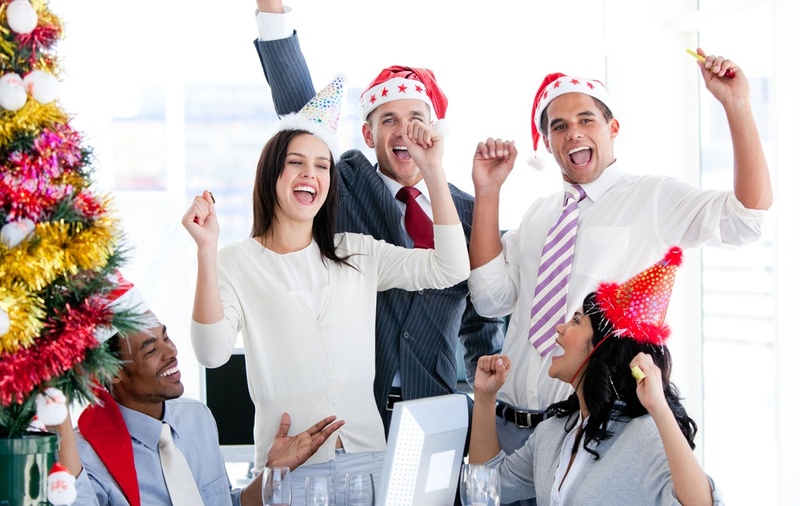 By following this simple checklist, you can ensure that your office is ready for the holidays--and as prepared as possible for any unprecedented challenges while you're out of the office. If you would like help with your office security you can visit our website www.tcsusa.com or call us at 336.804.8449.